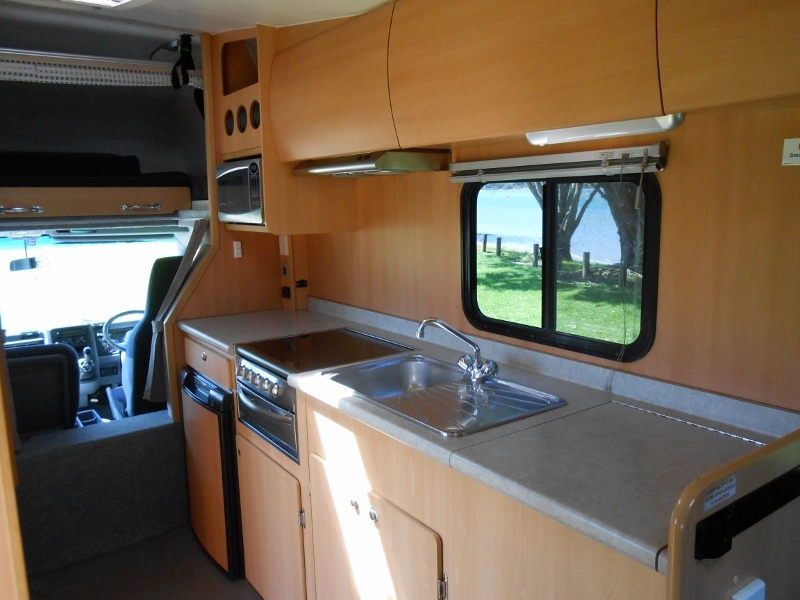 Our spacious and beautifully appointed 4 berth Motorhomes provide you with extra comforts as you travel. 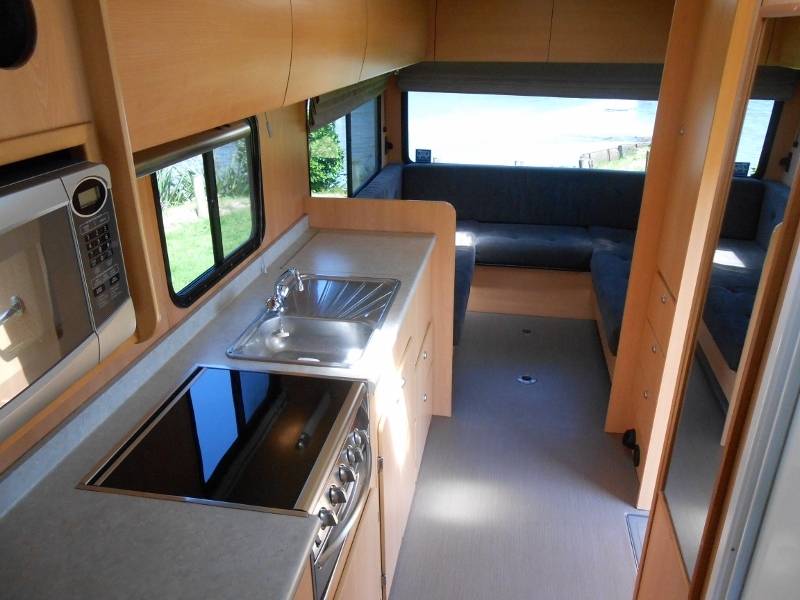 With contemporary interiors and clever storage designs, the 4 berth features a double bed above the cab and a king size bed at the rear of the motorhome which can also be made into 2 single beds. 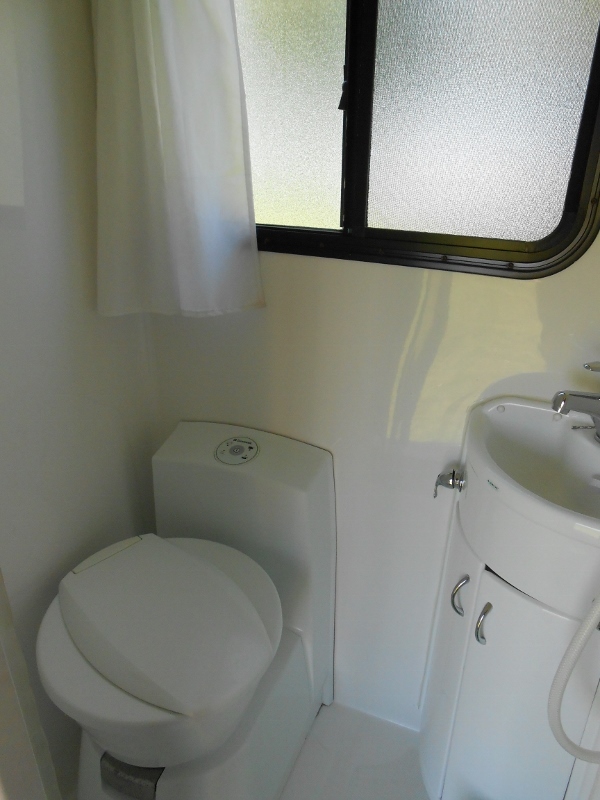 This fully self-contained motorhome has a shower and toilet, hot & cold running water, gas cooking facilities, range hood, fridge and microwave. The rear lounge area provides comfortable seating around the dining table for all to view the DVD player. The motorhome is equipped with a central heating system to keep you warm in winter and there is plenty of storage space. The large tinted windows provide great views. The motorhome has seven seatbelts, (2 full diagonal, 5 lap belts) please check that this will suit your child's safety seats. There are 3 seats across the front cab. The diesel motor cruises easily at 90 kmh. 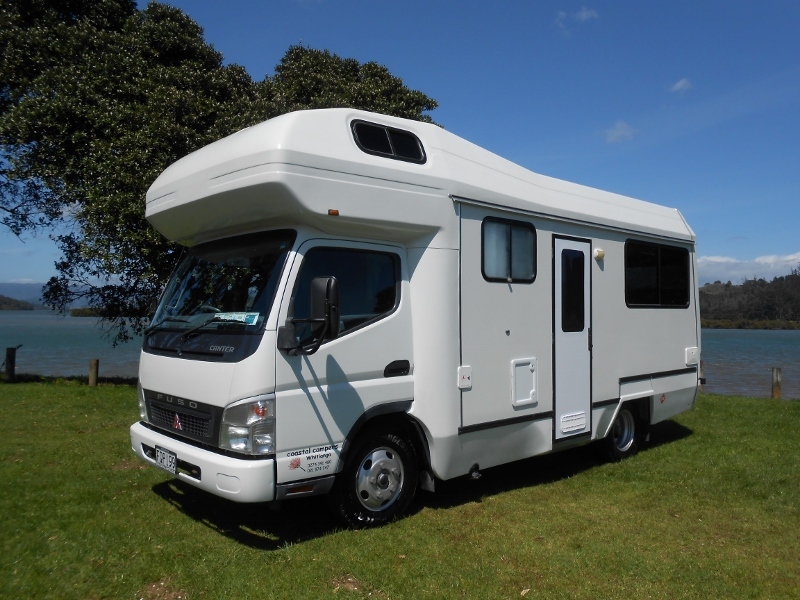 Our 4 berth motorhomes are NZ built for NZ conditions, are regularly dealer serviced and maintained as well as cleaned & sanitised between rentals. No special license is required to drive and they are easy to operate. 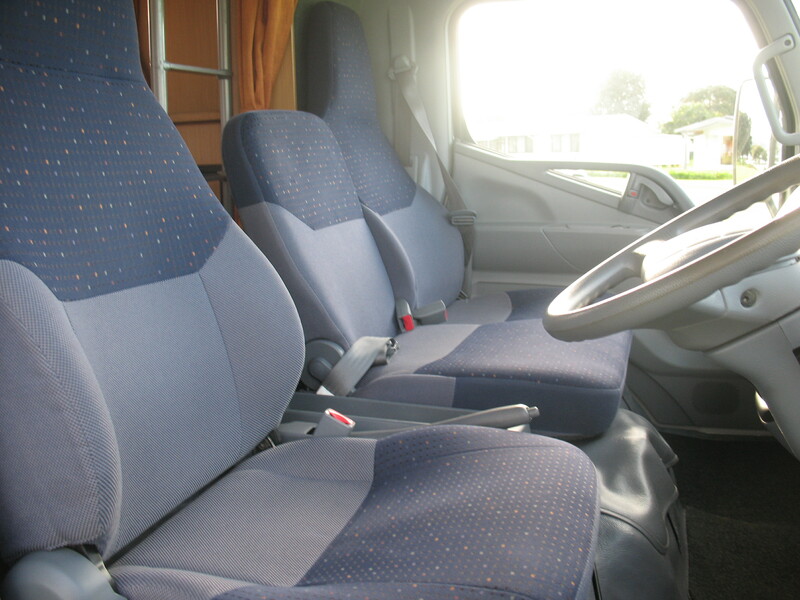 -Baby / Booster seat: Motorhome has 1 diagonal and 5 lap belts available per rental. The 1 diagonal can take 1 booster or 1 child or 1 baby seats. The 5 lap belts can take 5 child or 5 baby seats. One diagonal and 1 lap belt are located in the front with the driver. The remaining 4 lap belts are in the rear cabin. - Fresh Water Tank: 90 litres.